The podiatric specialists at Midwest Foot and Ankle Associates have been serving the residents of Rockford, Illinois, for over 60 years. 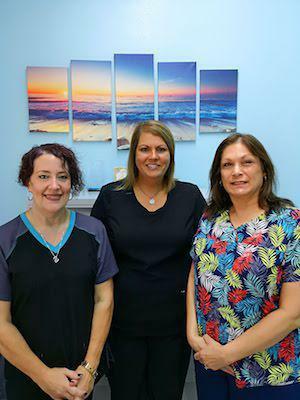 Their quality services and efforts to form long-lasting relationships with their patients make them one of the area’s most favored providers. As a full-service podiatry practice, their services include sports medicine, foot and ankle surgery, biomechanics, diabetic foot care, pediatric foot care, toenail treatment, and wound care. They specialize in diagnostics and treatment for pain, injury, and medical conditions that affect your feet. As the leading podiatrist at the practice, Biren Shah, DPM, dedicates himself to improving your overall health. He’s able to spend adequate time with you to understand your needs and ensure the proper treatment approach. Dr. Shah is able to perform most treatments in-office, but he has privileges at Rockford Surgery Center and OSF St. Anthony Medical Center for more extensive operations. If you’re looking for a diligent, welcoming podiatrist in the Rockford area, call or book an appointment online with Dr. Shah. If you don’t see an open time that works, call the front desk. The practice offers flexible scheduling to accommodate those with time limitations.